Don't Tip Your Pitcher's Pitches! Catchers Don't Tip Your Pitcher's Pitches! 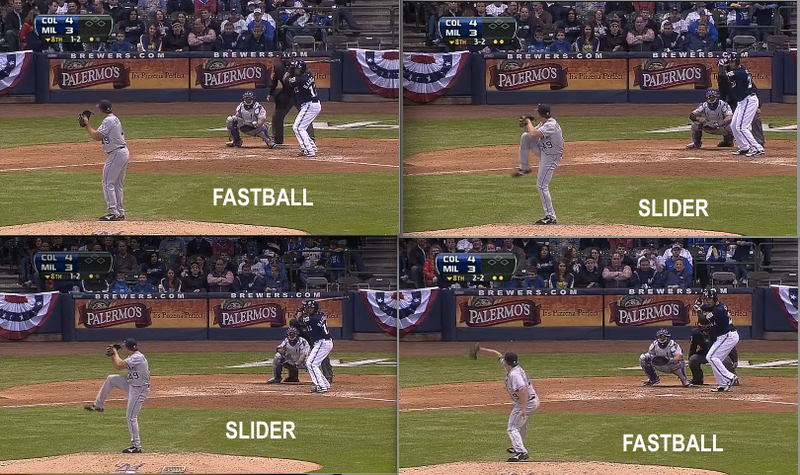 Your stance should not change based on the pitch you call. It should change based on the count or situation (runner on base vs. no runners on base/less than two strikes vs. two strikes). This information is too valuable and I am shocked nobody in the Rockies organization has done anything about this yet.